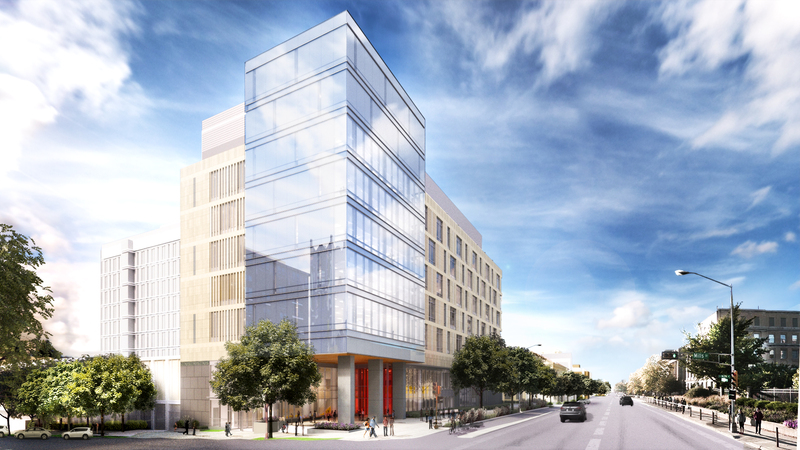 This nine-story addition addresses the Chemistry Department’s anticipated program needs. It focuses on the need for instructional facilities and opportunities for both new and renovated space. It improves major infrastructure systems in the older buildings, such as the exhaust and heat recovery systems. The new tower will be constructed first, with one floor shelled for future fit-out. New tower occupancy is expected for Spring Semester 2021 and the renovated spaces in Spring 2022. General Contractor Miron Construction Co., Inc.
Fire Protection J.F. Ahern Co.